How do you know a failed State? One of many ways it manifests is in its citizens being scared of their own government, or wary of the institutions whose main job is to protect. This is true, from Syria, to Myanmar, now you can add Nigeria to that infamous list. What is unemployment when you are locked in a packed cell for over a year because you have a tattoo, and can’t pay the N200,000 bribe demanded? What’s the pursuit of happiness if as a young man, you are scared of taking out your car or showing you are even mildly successful? 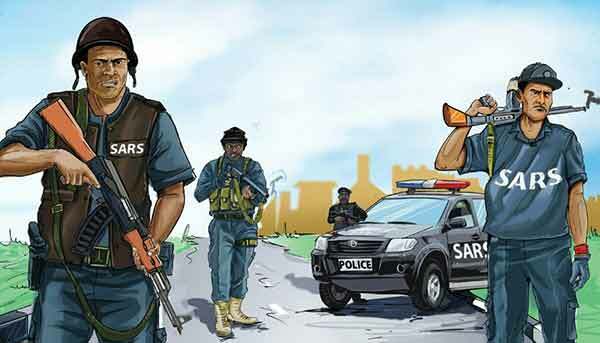 What is the essence of a country, whose police is targeting your likes, and you are no longer save and the biggest danger is from those being paid to protect you? The primary role of any government, anywhere, irrespective of the political machinery in place, is to safeguard its people. A government unable to do that is one that doesn’t deserve to rule. Nigeria, already a cacophony of woes and struggle, a tale of corruption and an example of how not to rule a country, seems not to be content with that. It now wants to kill us all. If you are young, you are no longer save. Do you dress well; you might want to think twice about that. You use an iPhone, maybe a Tecno would be better if you want to live long. No reason, really. 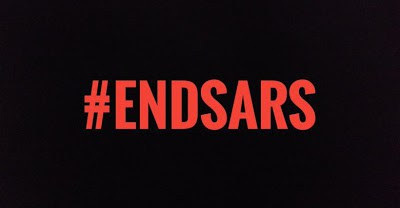 Except one name – SARS. It means Special Anti-Robbery Squad. They don’t wear uniforms, so have no tags to identify them. But they have guns, hanging around their arms, while they themselves hang from their rickety buses, like leeches, ready to swoop on you and me for no reason, except one that swells their pockets and caresses their fragile ego and imbalanced mind. Or maybe it is more than that. At this point, it isn’t enough to call it a mere abuse of power by SARS, or the work of imbalanced minds. No. It is a targeted, even systemic way of policing that incorrectly but consciously profiles a certain demography, blackmails it into financial submission, beats it without justifications, and kill without any ilk of remorse. It’s so apt and morally, even physically disgusting, that one of their stations is known as “Abattoir.” In what sane country is an anti-robbery squad station called that and nothing is done? They know what they do, who they are, and because of a lack of political will and action, now have the audacity to go about it like an ocean, sweeping and swallowing everything in its course and roaring for effect, because there is nothing we can do. You don’t believe; please follow the hashtag #EndSars on Twitter. What you will read is just a tip of the ice-berg. Over 650,000 posts, comprehensively tales of encounters with the group that suddenly went south even when they were shown ID’s. The persistence of their audacity and the impunity with which they go about it all should be a slight on all our sensibilities. These stories highlight the ills prevalent in our justice system and they are extremely corrosive to our democracy. The reluctance of the appropriate bodies to rein them in poses a threat to our way of life. When people start to feel their government doesn’t care about their well-being, they begin to take matter into their own hands. Armed groups like theirs are given weapons to safeguard the lives of the citizenry and are only allowed to use it against groups engaging in hostilities against the state and definitely not a young man with beard driving a fancy car. At best, it is a moral failure by our government who stood by why this degenerated to this level, and at worst, the targeted killings is almost akin to a Democide. There are no two ways about it. The current way of doing things can no longer persist – for our sanity – and the progress of this country. The youth are a country’s hope, and a systematic profiling and harassment will do no one any good.